Dr. Marley and Dr. Heather primarily utilize the Gonstead technique, which focuses on the individual needs of each unique patient. Based on a scientific analysis of the body, including a thermal scan and digital x-ray, this form of treatment is catered specifically to you! With the help of our favorite technique, Livin’ Well Family Chiropractic says no to guesswork and yes to facts. Prior to a complete examination, every new patient undergoes an in-depth consultation with Dr. Marley or Dr. Heather. As your health goals are as important to us as our own, this is the time to share and help us understand your concerns. Following our discussion, you will undergo a detailed examination that highlights the exact sources of your discomfort. All of this information helps us use the Gonstead technique to perform an adjustment with your absolute best interest in mind. Is this technique right for me? The Gonstead technique is safe, gentle, and reliable for patients of all ages! Because each adjustment is tailored to exact needs, it can be altered to suit a wide range of ages. Once we identify your problem areas, we address only what we find. For this reason, no two adjustments are the same. 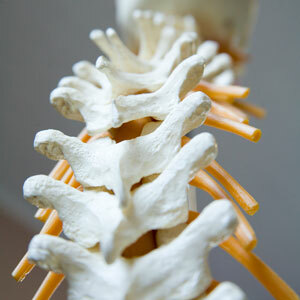 Livin’ Well Family Chiropractic believes in adjusting based on thorough evaluations and the comfort of the individual. If the Gonstead technique sounds like something you or a family member might be interested in, we are more than happy to speak with you and answer any questions you may have. Contact our friendly practice for additional details. Take advantage of gentle, non-invasive care today with our expert doctors on your side!